After Madhya Pradesh, Shah Rukh Khan’s DILWALE face ire in Maharashtra by Raj Thackeray led MNS! After Madhya Pradesh, where a Right Wing Organization Hind Rashtra Sanghatan has declared to boycott Shah Rukh Khan’s forthcoming film DILWALE, another state in India has bugled to boycott the film! According to reports a Hindu wing affiliated to Raj Thackeray’s Maharashtra Navnirman Sena (MNS) has threatened to boycott Shah Rukh Khan’s forthcoming film DILWALE in Maharashtra! The MNS-affiliated Chitrapat Karmachari Sena on Monday began propagating people to boycott Shah Rukh Khan-starrer DILWALE by poisoning people’s mind as Shah Rukh is a merciless man, who lives life king-size but cares a damn about the pathetic plight of the poor farmers committing suicide under severe drought regions of Maharashtra. DIWALE that releases this Friday on December 18 is this year’s much awaited film as it brings together the magical chemistry of Shah Rukh Khan and Kajol. 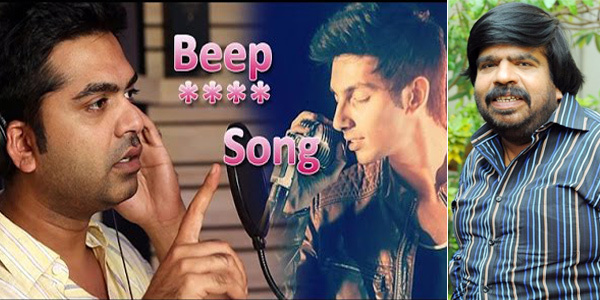 However with the date of the film nearing its release the film has suddenly found itself in unnecessary controversies. Taunting at SRK Amey Khopkar lambasted, “Shah Rukh Khan is living in Mumbai since many years and has minted enormous wealth from this city but it is tragic he has no emotions for the poor farmers in distress." It may be noted just a few days back a little known Right Wing Organization Hind Rashtra Sanghatan in Indore (MP) has threatened to vandalize cinema halls if the film is shown in cinema halls in Indore. The HRS head Rajesh Shirodkar, who also claims to be a BJP member, has organized the vandalize cinema halls campaign after being peeved at Shah Rukh’s controversial remark on intolerance. ‘Vandalize Talkies Campaign’ organized to disrupt Shah Rukh Khan’s film DILWALE! After Sanjay Leela Bhansali's upcoming film BAJIRAO MASTANI being threatened by Shiv Sena and the descendants of Peshwa and Chhatrasal dynasty, Shah Rukh Khan’s film DILWALE has received threats from a Right Wing organization to vandalize cinema halls in protest against Shah Rukh Khan’s stance on ‘Growing Intolerance in India! 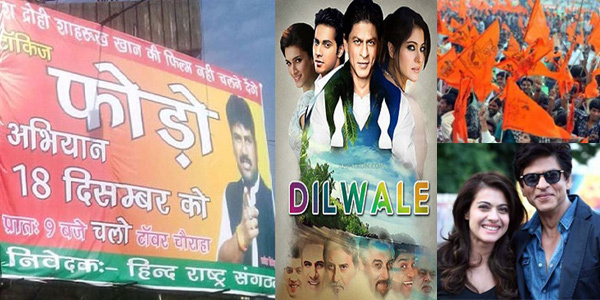 According to latest reports a Right-Wing organization called Hind Rashtra Sangathan has put of posters across Indore in Madhya Pradesh poisoning the minds of the citizens against Shah Rukh Khan alleging him to be a Deshdrohi i.e. traitor. The campaign aptly titled ‘Talkies Phodo Abhiyan’ (Vandalize Talkies Campaign) is aimed to damage cinema hall screening DILWALE featuring Shah Rukh, Kajol, Varun Dhawan and Kriti Sanon. 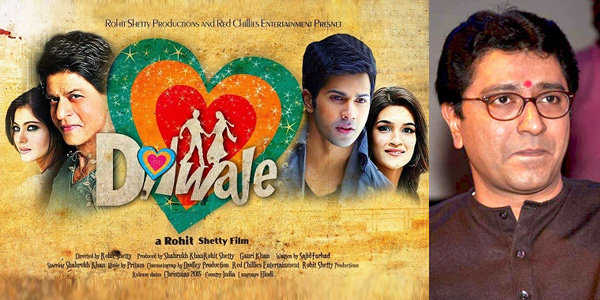 It may be noted that DILWALE is as one of the most awaited and biggest flicks of this year. Members of Hind Rashtra Sangathan claim they are annoyed at Shah Rukh Khan’s irresponsible remark about ‘Religious intolerance’ where he said due to growing intolerance in India the nation is being pushed backward. The organization is also peeved at Shah Rukh’s support to the protest of litterateurs, who are returning their National Awards and disobeying the country. Salman Khan’s good fortune continues; Wins not one but three Big Star Entertainment Awards!!! 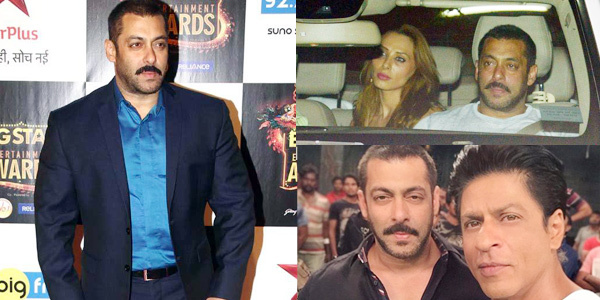 It seems the Year 2015 is surely a boon for Salman Khan! After the mega success of his two films released this year viz. BAJRANGI BHAIJAAN (earning over Rs 300 crores) to PREM RATAN DHAN PAYO (earning over Rs 200 crores) and his release in the 13 year long hit and run case 2002 from the Bombay High Court, Salman Khan continued his good fortune at the Big Star Entertainment Awards 2015 where he fetched not one but three awards! Awesome indeed!!! Yes, you have read it right! Salman Khan won three awards viz. Most Entertaining Actor of the Year; Most Entertaining Actor in a Social Role for BAJRANGI BHAIJAAN and Most Entertaining Social Film BAJRANGI BHAIJAAN (As producer of the film). Interestingly in the Most Entertaining Social Film category Salman Khan had a tough contender in Aamir Khan’s PK. The Rajkumar Hirani's directorial PK focusing on the blind belief of religious superstitions had beaten Salman Khan’s BAJRANGI BHAIJAAN at the box office by registering the record of the being the highest-grossing Indian film in India and overseas markets but regrettably at the awards function it could not beat Salman Khan’s BAJRANGI BHAIJAAN, probably because Salman Khan’s fortune is at its peak! Besides name and fame the year also proved triumphant in relationship as the long time rivalry between Salman Khan and his arch rival Shah Rukh Khan ceased so much so that Shah Rukh Khan has went ahead and said that he does not feel the need to have a ‘real brother’ because he has one in close friend ‘Bhaijaan’ aka Salman Khan! Besides if grapevines are to be believed than Salman Khan is set to marry his long time girlfriend Romanian model, Iulia Vantur early next year because if readers could recollect in the popular Rajat Sharma show 'Aap Ki Adaalat’ in 2012 Salman Khan, had said, "I will think about marrying only after the courts give their verdicts. If the verdicts go against me, I will marry only after coming out of jail." But now the court orders are in his favor and he is a free man so Shadi toh banti hai!